NASA's Cassini spacecraft has found that the composition of Titan's lakes and seas varies from place to place, with some reservoirs being richer in ethane than methane. "Our experiments showed that when methane-rich liquids mix with ethane-rich ones — for example from a heavy rain, or when runoff from a methane river mixes into an ethane-rich lake — the nitrogen is less able to stay in solution," said Michael Malaska of JPL, who led the study. The result is bubbles. Lots of bubbles. The release of nitrogen, known as exsolution, can also occur when methane seas warm slightly during the changing seasons on Titan. A fizzy liquid could also cause problems, potentially, for a future robotic probe sent to float on or swim through Titan's seas. Excess heat emanating from a probe might cause bubbles to form around its structures — for example, propellers used for propulsion — making it difficult to steer or keep the probe stable. 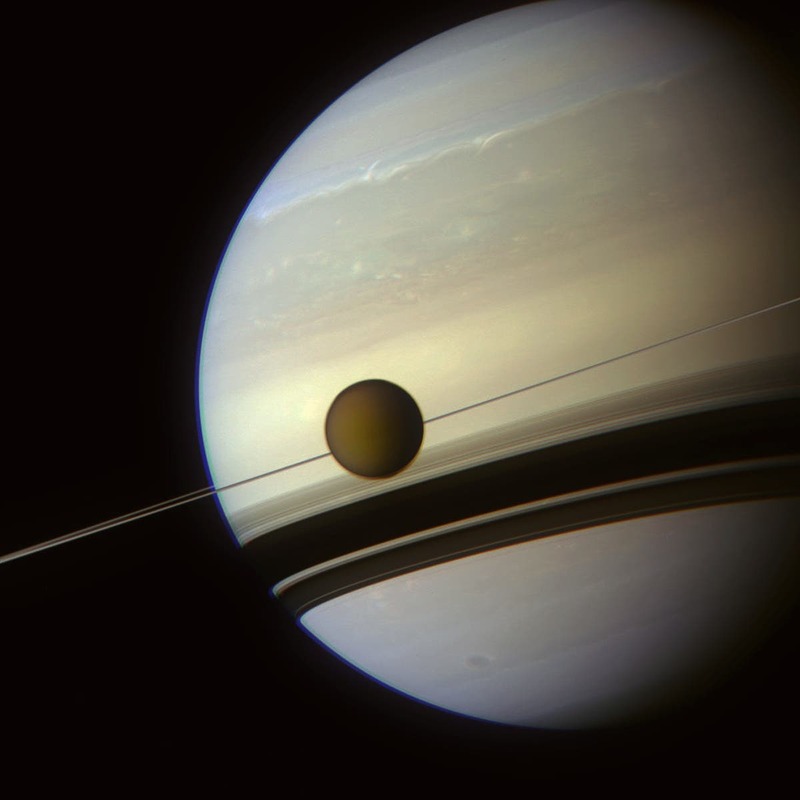 Cassini will make its final close flyby of Titan — its 127th targeted encounter — on April 22. During the flyby, Cassini will sweep its radar beam over Titan's northern seas one final time. The radar team designed the upcoming observation so that, if magic island features are present this time, their brightness may be useful for distinguishing between bubbles, waves and floating or suspended solids.